Who is this tsum tsum? I went round to my friends' house earlier and they had just finished a Tsum Tsum Disney jigsaw puzzle. We were able to work out most of the characters, but there was one we couldn't work out. Can anyone tell us who the black and white striped character is? 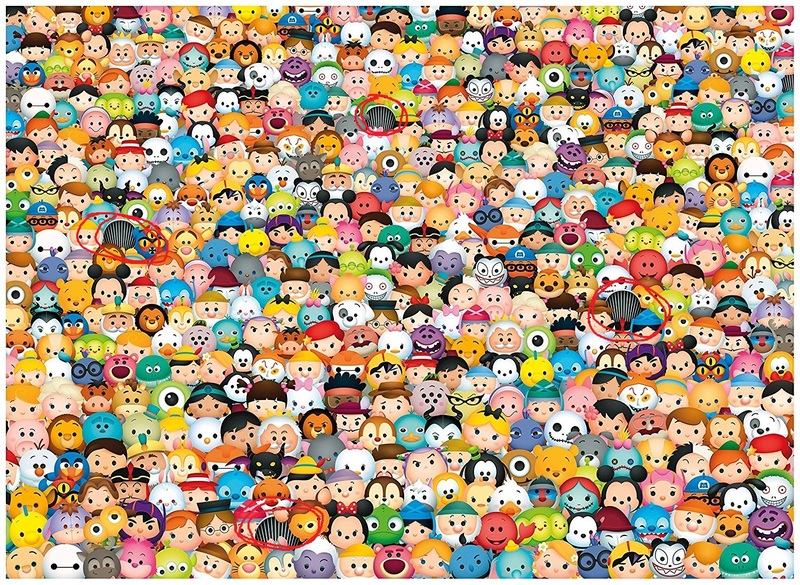 The character appears four times (see freehand red circles), but can be seen most prominently 2nd row from bottom, 8 characters in, just above Tigger. Despite the colour scheme, we don't think it's Jack from Nightmare before Christmas as he is elsewhere in the puzzle. For reference, the puzzle is "Disney Tsum Tsum Impossible Puzzle". This character is Jack Skellington's buttocks. Jack Skellington's buttocks was also featured in the puzzle 70 Piece Jigsaw Puzzle Prism Art Petit Disney "Tsum Tsum" - A Lot 2. 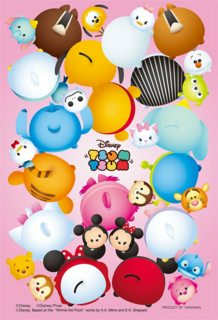 Buttocks of other characters were featured in the puzzle 70 Piece Jigsaw Puzzle Prism Art Petit Disney Tsum Tsum Girls, Disney Tsum Tsum 1000 pieces Jigsaw Puzzle ("So cute! Tsum Tsum madness") and Jigsaw Puzzles 1000 Pieces "Tsum Tsum" / Disney / Toy & Puzzle. I contacted the company (Clementoni) that produced this jigsaw and are responsible for the artwork. 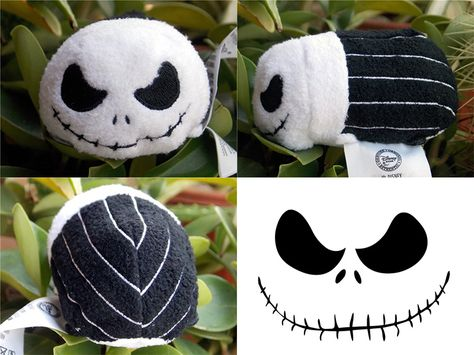 I am informed that the image shows the back of Jack Skellington from "A Nightmare Before Christmas". Thank you for your kind e-mail. We kindly inform you that the subject marked is the back of Jack Skeleton [sic]. I have followed up with a question about why his back (and no-one elses) was chosen and will update accordingly. Not the answer you're looking for? Browse other questions tagged character-identification disney or ask your own question. Who is this 'strong guy' in Misfits? Who are the Captains in this image? Who is this super heroine? Who is this bounty hunter? Who is this character from The Neighbourhood of Make-Believe?